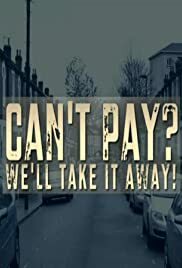 Serie: Can't Pay? We'll Take It Away! It is the story of two wedding planners in Delhi, where tradition jostles with modern aspirations against the backdrop of big fat Indian weddings revealing many secrets and lies. Dom Littlewood looks at clever new ways that the police and the public are catching crooks red handed. Follow the tattoo artists at 9Mag in Chicago as they band together to create new identities for themselves, their families, and their business. Follow shaman Steve Hupp, as he works with people seeking healing from severe emotional and physical issues.